BARNABY Joyce and his pregnant lover are not only living rent-free at a home owned by a millionaire from his electorate, they have also holidayed at no cost at the controversial businessman's $4000-a-week beachfront bolthole. News Corp Australia can reveal the Deputy Prime Minister and his former media adviser Vikki Campion stayed at the Pacific Dawn Luxury Apartments at Wooli on the NSW north coast last month for about five days. Online promotional material for the two apartments say they have been "designed to maximise mesmerising ocean & river views. The chic two-storey, two-bedroom, two-bathroom apartments sit on a pristine stretch of coastline with showstopping, uninterrupted Pacific Ocean vistas". 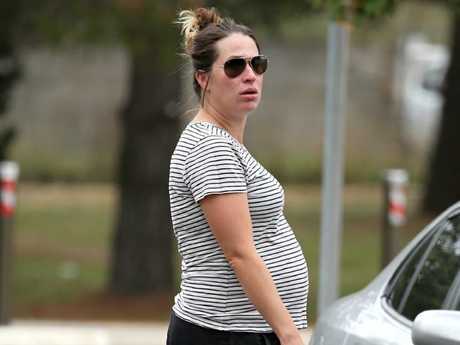 The apartment Mr Joyce and Ms Campion stayed in is the property of a company called Vodata Pty Ltd, which is owned by wealthy Tamworth businessman Greg Maguire and a relative. Mr Joyce and Ms Campion stayed there after returning from a trip to north Queensland where they were seen swimming at a popular Townsville rock pool and dining on the seafront at Palm Cove, north of Cairns. While in Wooli, the couple visited the local pub where they befriended locals and those visiting the area on summer break. 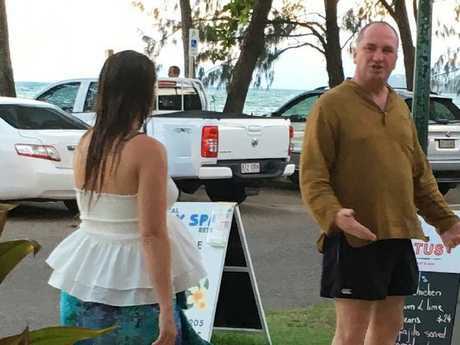 Barnaby Joyce and his partner holidayed at Palm Cove in Queensland. Mr Maguire came to broader prominence in 2004 when he was investigated by the Australian Federal Police after Mr Joyce's predecessor as the federal member for New England, independent Tony Windsor, alleged Mr Maguire tried to bribe him to quit politics. Mr Maguire consistently denied any wrongdoing. The AFP and Commonwealth Director of Public Prosecutions decided against laying charges because the CDPP determined "none of the versions of the conversations related by any of the witnesses can amount to an 'offer to give or confer' a benefit". 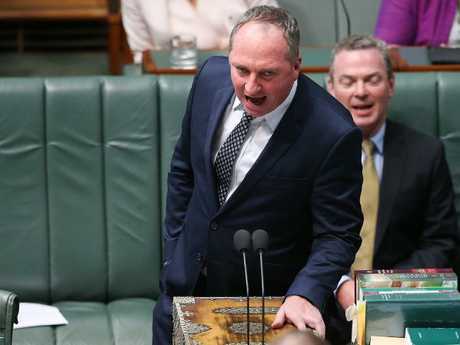 Since separating from his wife last year, Mr Joyce has been staying at a three-bedroom Armidale property owned by Mr Maguire, who waived the rent for six months, saving Mr Joyce about $14,000. Earlier this week Mr Maguire told The Daily Telegraph he was "helping a mate out" by letting Mr Joyce stay in the $460-a-week Armidale house rent-free. He said Mr Joyce had offered to pay. When News Corp Australia approached Mr Maguire on Monday about the gift of the Wooli accommodation he declined to comment. A spokeswoman for Mr Joyce said "it was quite customary at Christmas time for friends to stay with friends at their homes".